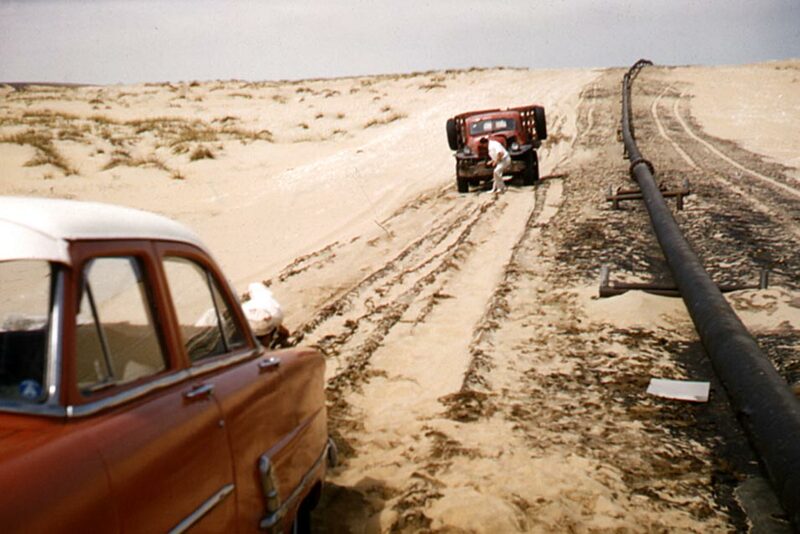 Deflating the tires of a Dodge Power Wagon for driving through soft sand. 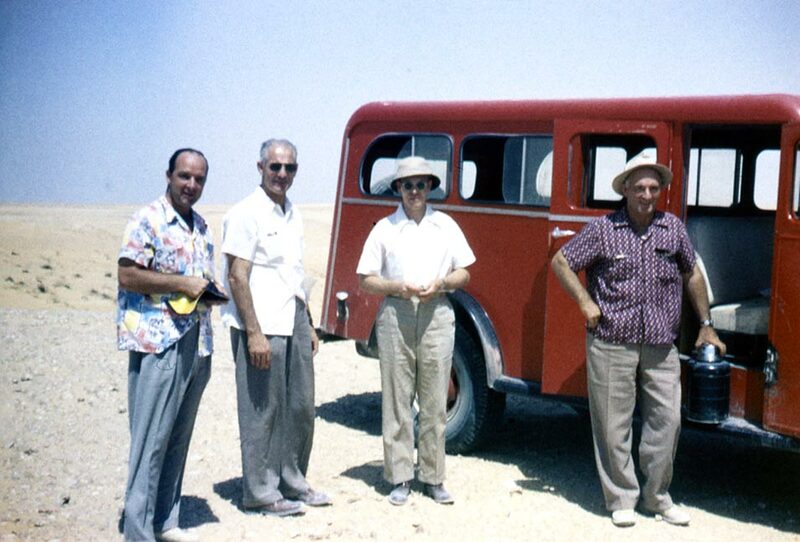 Painted cherry red, this crew cab wagon was, even then, rare in Aramco’s fleet. 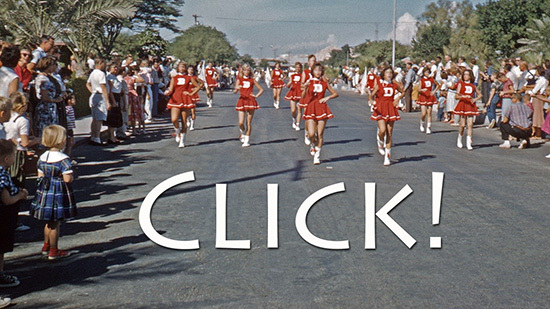 In today’s most complimentary sense of the word … it’s one cherry ride. Engineers and geologists scouting the terrain. Rescuing a sedan stuck in the sand along the Tapline Road. 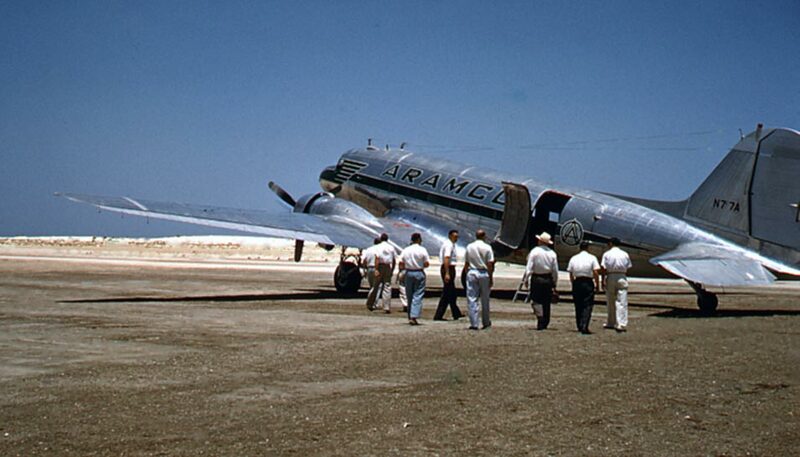 The executive engineers and managers board the DC-3 for the flight to Sufaniya. 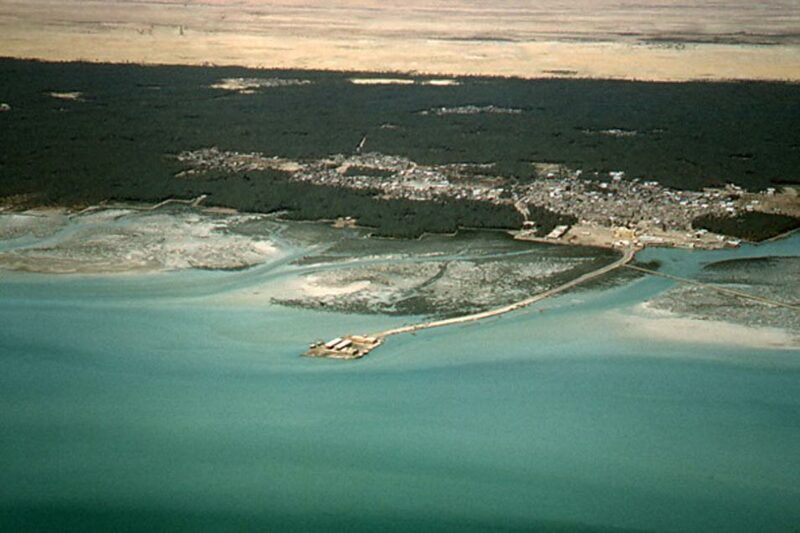 Flying North they pass over the mighty oasis of Qatif. 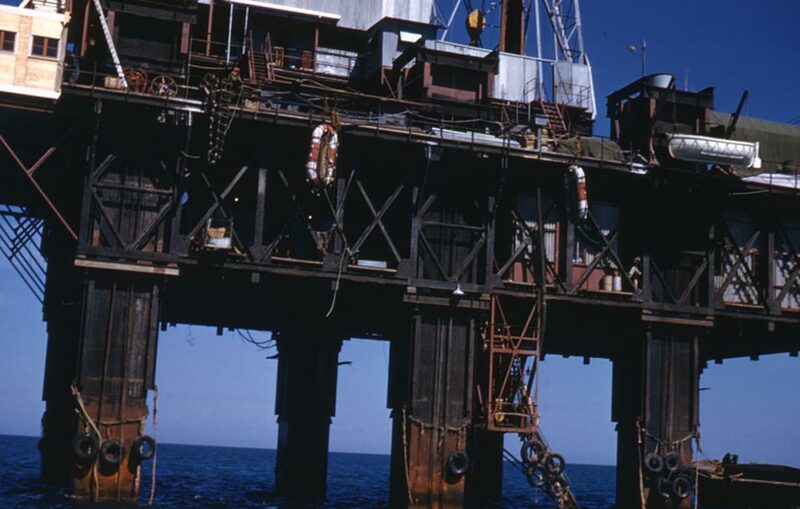 One of the first drilling platforms at Sufaniya. This one is only in fifty feet of water. 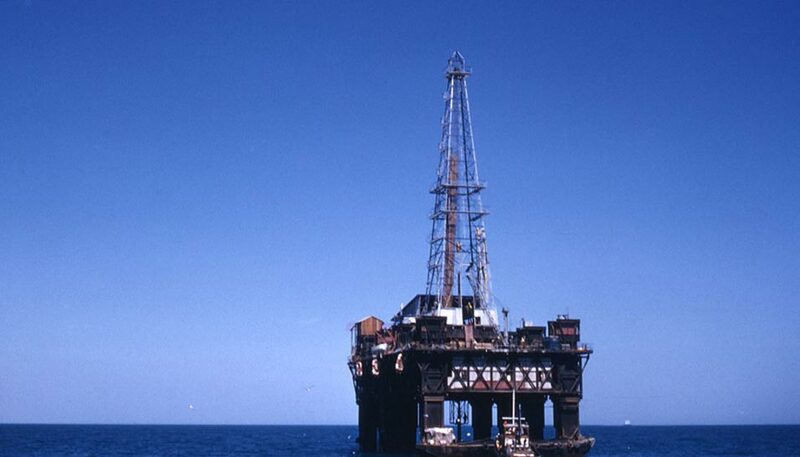 As the technology became available, the company moved to drilling ships like the ADT which required considerably less steel and could be floated away to drill again. 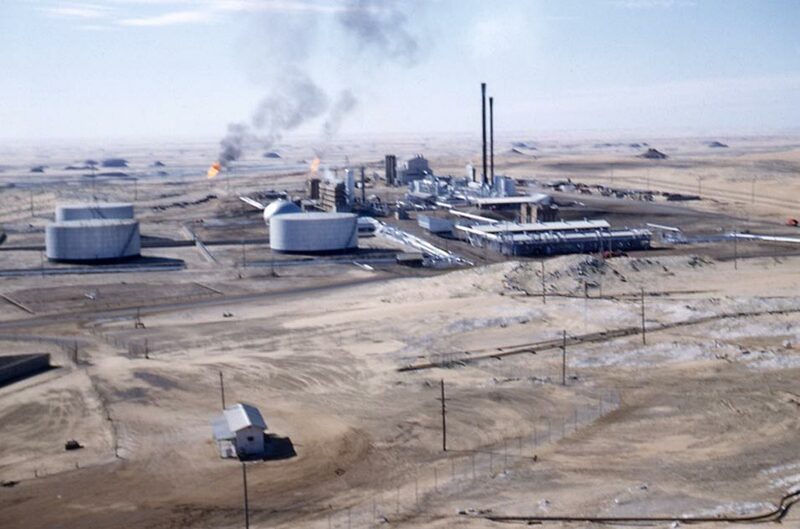 The Bulk Plant at Dhahran where oil for the local market was processed into diesel, gasolinnce and aviation fuel. 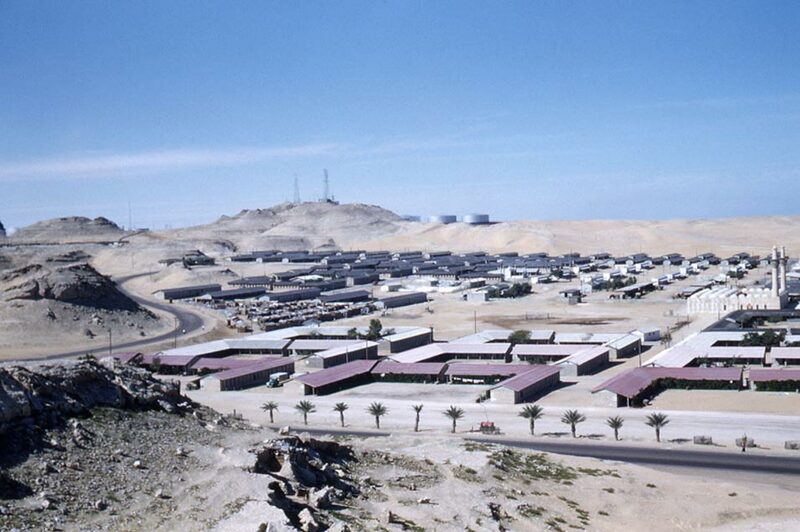 The view from Dhahran to the northwest. The Dammam Dome is in the background and the minarets of the Dhahran mosque are visible to the right. 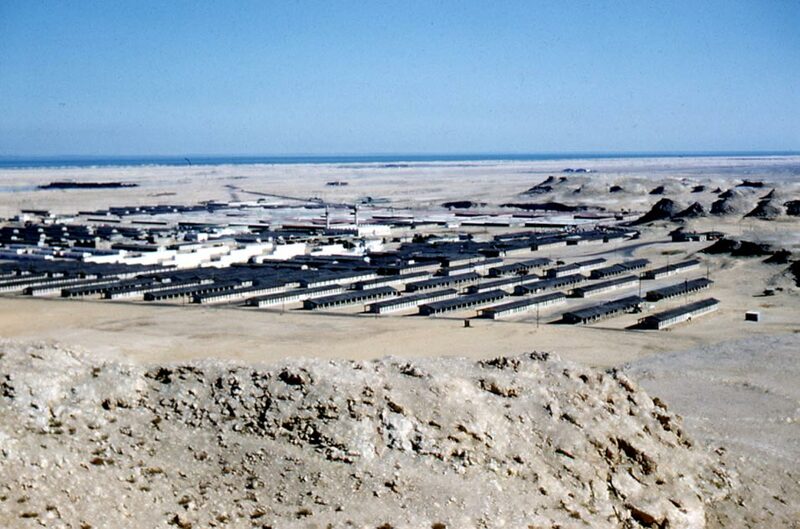 Looking to the northeast, the gulf traces blue in the distance and there is virtually nothing between it and Dhahran. Today, you’d be lucky to see the water for all the buildings of the modern metropolis. 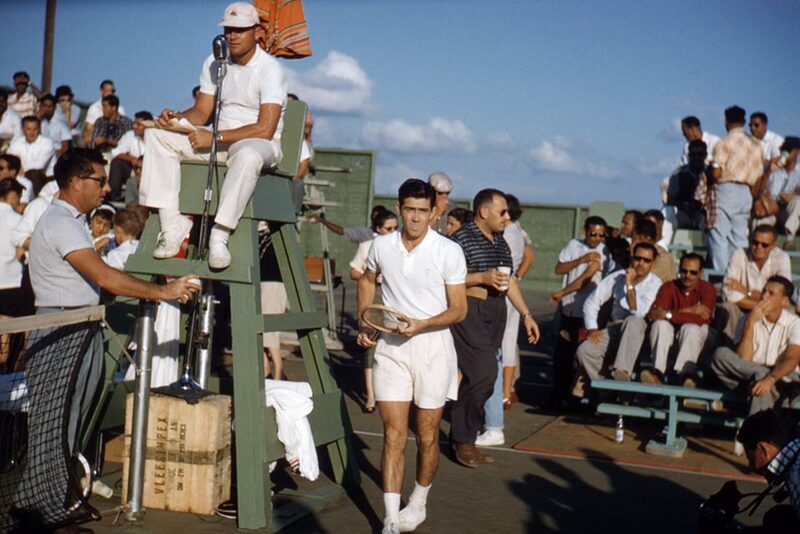 The international Tennis Star Pancho Gonzales visits camp on a worldwide exhibition tour. 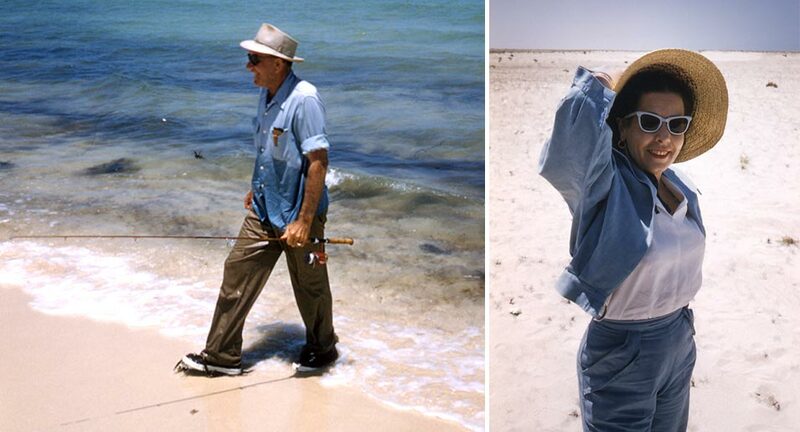 There’s nothing like a day at the beach. Babe with Dhahran District Manager Ned Scardino and his wife Mabel. 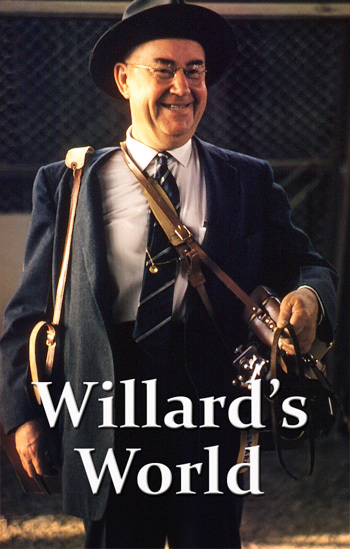 Babe still has more of Willard’s photos to show you next time. Here’s the copy for the tail of Part Four if you are able to unscramble it. The County Fair is the setting for my ultimately horrifying story CLICK! It’s every mother’s nightmare, you might enjoy it. 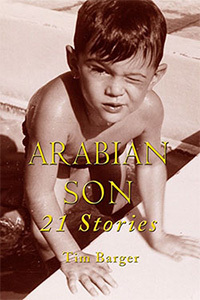 Tim Barger is the author of Arabian Son, a collection of stories about his perilous adventures growing up in Dhahran through the 1950s and 60s..